Wow — what a weekend. 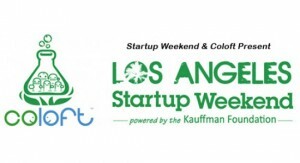 Startup Weekend LA has grown to become a very special event here in Los Angeles. 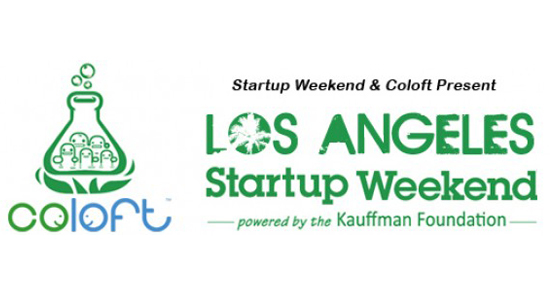 This past SWLA (February 24-26) was like non other and the 5th event to take place at Coloft here in Santa Monica. It’s also a very exciting time here in LA Tech with over 6 accelerators and incubators springing up over the past year. With 100 attendees, this SWLA managed to sell out in 10 minutes, faster than any previous Startup Weekend LA and possibly (we’ll need to check with SW Global) the fastest in history (yes, it could be a world record). Seems like it may have been just shy of selling out Radiohead at the Staples Center. On Friday evening, the SWLA energy started to brew at the Coloft as participants began showing up around 5:00 PM. Social lubrication was provided by Sierra Nevada along with pizza. By 6:30 the house was packed and SWLA was underway. Following a quick ice-breaker game of “Half-baked” where anyone in the room throws out a word to then generate an entertaining pitch, the real pitches began. We had over 35 ideas pitched Friday night, certainly on the higher side than normal with some really killer ideas. Attendees then cast their votes and 12 winning ideas were selected. At this point the feeling of the room changed into a scene that you might compare to dusk deep in a South American forest. Those with their ideas selected were out on the prowl, looking to recruit the top designer or developer in the room. By 10:00 PM, teams were working away into the night. PopSwap (popswap.com), The Lol Fx (thelolfx.com), Afterparty! (afterpartyhq.com), AppStoreTools (appstoretools.com), Social Takeout (socialtakeout.com), Work Habitats (workhabitats.com), MarkedUp (markedup.mobi), Tap Tap Maps! (tatptapmaps.com), Restaurant Rep (restaurantrep.com), SnazzyRoom (snazzyroom.com), dude.ly (dude.ly), Mogul Magnet (mogul-magnet.com), Dubeme.com (dubeme.com), Social Proof It (socialproofit.com). While everyone developed their products throughout the day, SWLA teams briefly said hi to Marc Nager (StartupWeekend CEO) during a quick Skype call who was down in New Zealand facilitating Startup Weekend. Saturday evening came to a “closing” with the Coloft tradition of the famous scene from Glengarry Glen Ross where Alec Baldwin defines the meaning of “closing” while he gives a nearly Oscar winning sales talk to motivate his staff. As Avesta Rasouli, SWLA Co-organizer and Founder of Coloft says, “Go sell something! Coffee is for closers!” After all, if you intend to keep your SWLA startup going, you certainly need to close — “You need to get them to sign on the dotted line” according to the character Blake played by Alec Baldwin. Sunday morning rolled around and it was down to crunch-time. Tyler Crowley, of Sqweal, Launch, ThisWeekInStartups, Open Angel Forum, and Mahalo, stopped by to give a quick coaching session on pitch prep. Tyler has helped coach dozens of companies through pitching and presenting at Launch Conf and formerly TechCrunch 50. Definitely was a helpful talk and seemed to really made a huge difference — we’re very lucky to have Tyler here in the community and drop by. Thanks again Tyler Crowley! It was Oscar night, well Startup Oscar night in LA. (Yes the real Oscars were also on this past Sunday but if you’re in LA or Hollywood, you wouldn’t be tuning into anything but Startup Weekend LA). As the final countdown neared, the counter to presentations ticked away with only 4 hours, then 1 hour and finally minutes until the cut-off. Pitches kicked off with 13 teams in total presenting. We here honored to have an awesome group of judges put forth some great questions to our presenters. Our judges for this Startup Weekend LA included: Howard Marks (Start Engine), Paige Craig (BetterWorks), David Waxman (PeoplePC, Firefly Networks, SpotRunner) and Tyler Crowley (Sqweal, OAF, Launch, TWiST, Mahalo). The 1st place winner was SnazzyRoom, an online styling tool for mixing and matching items on the web (SnazzyRoom.com). 2nd place went to MarkedUp that helps mobile developers collect and organize visual feedback from their beta testers and users (markedup.mobi). All attendees really did such an amazing job building out their products, talking to customers and putting on a great show of presentations. With the thousands that tuned in on the live stream we had Efren Toscano of TechZulu working the stream and dual cameras providing some great coverage. During this past SWLA, there were Startup Weekends going on in parallel around the world from places including: Nairobi (Kenya), Iceland, Spain, New Zealand, Columbia as well as other cities throughout the U.S. It was also a very special Startup Weekend LA as we were joined by Cameron Rasouli (SWLA Co-organizer and Founder of Coloft) and Avesta’s soon-due twins (8 weeks to go!) making this their first SWLA. Joey Pomerneke and Adam Steele also joined us from Startup Weekend Global in Seattle. We also attendees and visitors in from all over the country and in from Mexico. Previous companies that have launched out of StartWeekend LA include: Look.io, Skillloop, Eventup, Zaarly, Healthy Surprise, Vol.ly, Foodme and Mingly. Startup Weekend LA wouldn’t be possible without our amazing sponsors and supporters that include: Hulu, Spire.io, EdgeCast, Idealab, Originate, Factual, Cybercoders, Start Engine, Flow Tab, The Honest Co, Docstoc, Launchpad.la, Trinet, Fortis and Dan Wu along with the Kauffman Foundation and Coloft. We’d also like to thank the Startup Weekend Global Sponsors including Amazon, Twilio, Kloudmine, Open Tok (Talk Box), Sendgrid, Microsoft, and Google. Also a big thank you goes to all the SWLA organizers and volunteers including: Cameron Rasouli, Avesta Rasouli, Chris Dumler, Bex Dumler, along with Joey Pomerenke and Adam Stelle. If you missed this Startup Weekend LA, also check out SW in the OC on Mar 30 and the soon to be announced Startup Weekend Media edition. Also be sure to check out StartupNights.org if you’re interested in connecting with other SWLA alum and the LA Tech community. Tyler Koblasa is a Los Angeles native and serial-entrepreneur that started his first web startup in 1996. Tyler co-organizes Startup Nights and Startup Weekend LA and is founder of Ming.ly, a professional relationship management company. Feel free to contact him with Startup Nights questions at tyler@ming.ly or follow on twitter @TylerKoblasa.